Why Give One of Our Driving Day Gifts? If you have someone’s birthday coming up in the summer, why not purchase them one of our Driving Day Gifts? 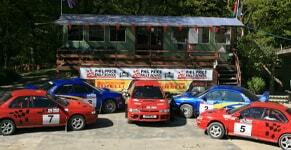 There’s no better way to kick-off the summer than an epic driving experience at the award-winning Phil Price Rally School. Our fully prepared Subaru rally cars and incredible rally stages combine for the most epic driving experience imaginable. As far as gifts go, this one is a guaranteed winner for all adrenaline junkies or motorheads. Driving day gifts that give an unforgettable experience for anybody involved. We attract drivers from all over the UK to our top-rated venue in the centre of the Welsh countryside, which are genuine forest rally stages regularly used for pre-event testing. 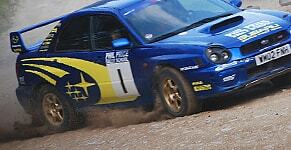 With loads of time in the cars, your loved-one will get a true taste of professional rally driving. Full of thrills and endlessly exhilarating, our instructors will guarantee it’s one of your most memorable experiences ever, with the day culminating in a competition against other participants. If you’re saving for the summer holiday, you can even pay only 50% in advance and the rest on the day. Discover more reasons to give one of our gift vouchers.